I’ll be honest with all of you. I don’t make New Years resolutions and the reason why is because I never, ever keep them. I have good intentions though and start out strong but someone where along the way I forget about it and fall back into my old ways. So this year my resolution is to not make one. Perfect… problem solved! Besides there are things that I’ve already committed to doing. Like losing another 5- 7 lbs, toning up, and eating right. I’ve also committed to making sure that my family eats better and since I’m the one that does all the shopping and cooking this shouldn’t be a problem. These are things that we should be doing anyway on a daily basis and not just because it’s a new year and we think we start with a clean slate. This year we’re cutting back on the sweets & snacks and for a while I think that my family might hate me. But that’s alright because there are a few healthy options that I have in mind for them to help ease the transition. 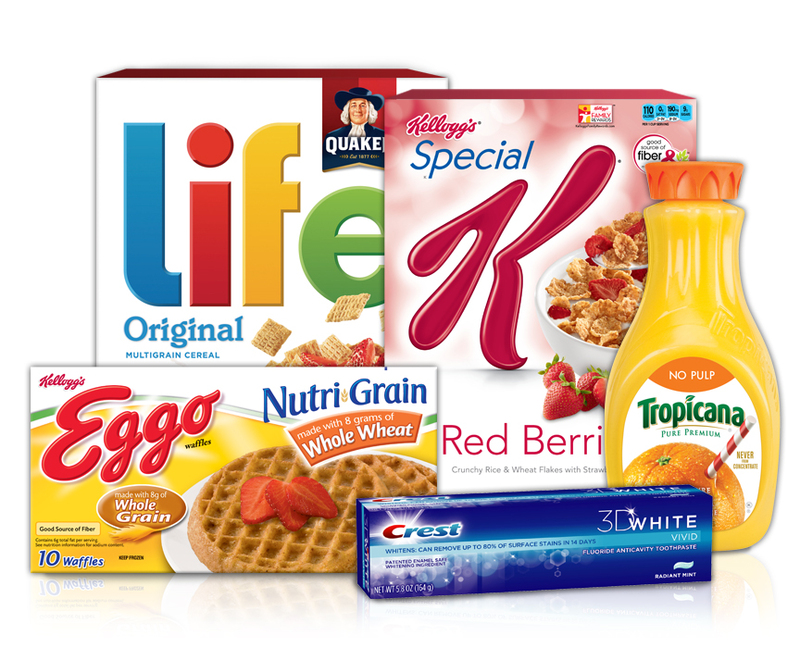 First is breakfast… forget those sugar coated kid cereals. Of course we all know that we shouldn’t skip breakfast so we’re going to try out some Kellogg’s Special K cereal with strawberries or Kellogg’s Eggo Nutri-grain waffles and then if they try to tell me that they’re to busy and are running late they can try one of the Kellogg Special K Protein shakes that are pre-made and ready to go. I’ve tried all of these and know that they’re actually good! Best of all I know that I can get them at a good price with or without a coupon. Okay, so maybe I didn’t make a resolution for myself but it seems that I made them for the rest of my family. Shhh… don’t tell them though! An Everyday Victory ~ Me time! Thank you to P&G and Kroger stores for celebrating “Team Mom’s Everyday Victories”! 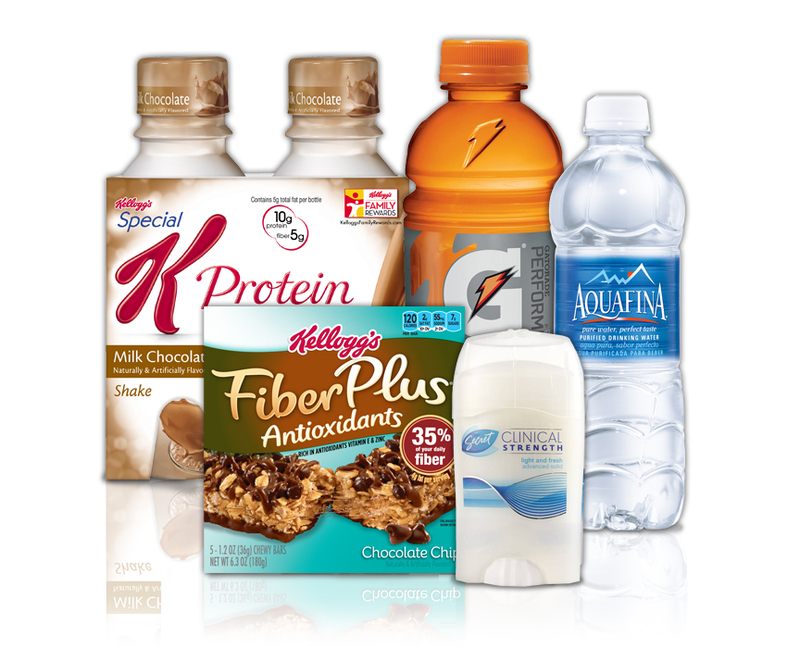 Please visit the P&G’s event page to play games, win money off your next Kroger trip and more fun! As a mom who works full time outside the home finding that personal “time out” can really be a challenge! After work my day doesn’t slow down or stop… I immediately begin my other full time job as mom which includes personal shopper, laundress, housekeeper, chauffer, train & tractor conductor, teacher (for homework that can’t be figured out), and of course boo-boo kisser. I think that the last time I had me time I was lost… I didn’t know what to do! I mean yea, there’s a list of all the things that I can and want to do when I get the time but when I get that free time I’m so overwhelmed with my options that I usually just veg on the couch and watch something mindless that I enjoy…. like Food Network or the Cooking Channel. I know… I know… it’s an exciting life isn’t it? Want to hear something sad…. there are times that I look forward to going grocery shopping when I get to go alone. Why? Well because it’s an hour of time alone wandering through the store. Again… exciting life. But there is a plus side to going shopping alone and it’s that I manage to get everything I need and tend to not forget as much! See…. bonus! This week I was able to get a bit of time to myself after the toddler went to bed. I pulled out the foot bath and did a mini pedicure at home while Tweeting and watching the Cooking Channel. Now that was nice and the only thing that was missing was a nice glass of wine! That evening was my own everyday victory. How do you carve out time for yourself? When you get that special time what do you do? Before hitting the store, visit P&G’s event page on Kroger.com. And as part of this event, consider trying one of these fab products from P&G: Vicks Nature Fusion, Charmin Basic, Downy Unstopables, and Swiffer Duster Extenders! Members Unite is a simple, interactive, fun way to fund amazing projects and for as little as $5 a month you too can help out! The projects are funded through member contributions and because of that the members ultimately control the outcome each month. Every month, they launch a 4-week cycle where they work together to determine which project gets funded. They start with 9 projects and through a voting process by the members the projects get narrowed down each week until they have determined the best project to fund for that month. 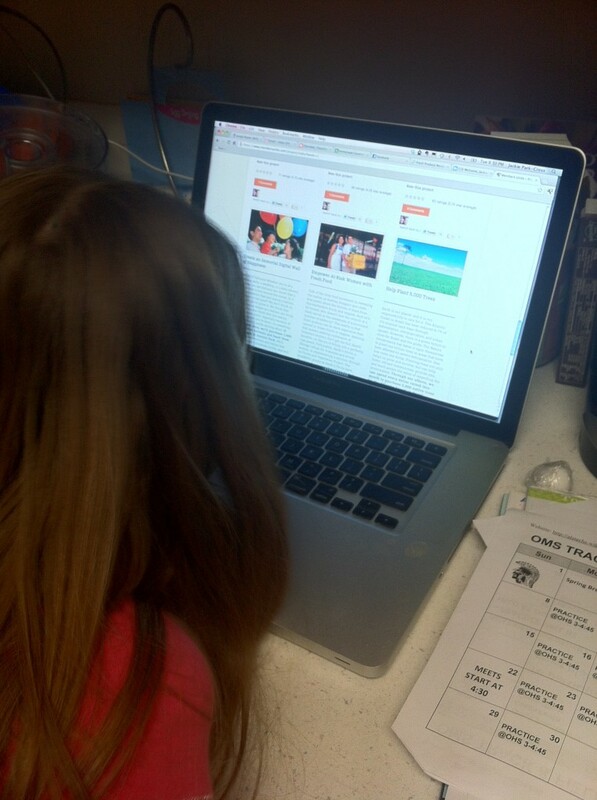 I sat down with my girls and explained the website to them and what it was all about and they loved it. I then let them read through all of the projects that they Members Unite has listed and before long they were talking about the projects and which ones they liked the best. It was unanimous the Fill up the Tanks of Struggling Detroit Residents was their number one choice! Why? Because we are only 2 hours from Detroit and we all know how hard things have been on the people of this state these past few years. As the economy still struggles to recover, rising gas prices are making a tough situation even tougher for those living paycheck-to-paycheck. In Detroit, where the unemployment rate tops 10% and times are especially hard, putting enough gas in your car to go apply for a job opening or travel to an interview may simply be impossible. The city of Detroit is facing its own cash crisis, and additional local government help for residents is highly unlikely. If this project wins, we’ll give one gas station in Detroit a $5,000 donation to pay for local residents’ gas for a day on behalf of Members Unite. I asked Lauren why she picked that one as her top choice and she told that it would do the most for people here (in Michigan). It would get people to work, school, and where ever they need to go. I think that she understands the rising cost of gas because of how often we talk about it and then explain what it used to be just a few years ago. Of course a few minutes later she wasn’t sure because she really liked the project to give the gift of self-esteem which would provide 5 hair prosthetics or wigs to children who have lost their hair. My choice was a little different. While I agree with the girls that helping those in our state is important I feel that it’s also important to help out our service members and that is why I chose Send the Essence of Home to a Soldier. Most of us can’t even imagine what it would be like to be thousands of miles away from home for months at a time. Think of the things you’d miss—our families and our friends for certain, but how about the little things like a good television show or one of your favorite snacks? For the men and women who serve in the US military, this type of scenario is just another day at work. MarineParents.com, Inc. wants to give our soldiers a little taste of home with care packages that contain a variety of snacks, from Ramen noodles to granola bars and even chewing gum. MarineParents.com, Inc. needs donations to cover the cost of the care package items. If this project wins, we will be able to send 227 care packages to Marines who are serving overseas. This one is important because my sister and her husband are both active duty service members and have both been overseas several times. I know how difficult it was for them and how if they were to be deployed again it would be even harder because now they have two little boys. Every little bit helps show that we care. Community service is an important part of the kids education here and they’re required to complete 20 hours each year starting in middle school. They have tons of fun with it and help out so many organizations and people in our community and Members Unite is a great way to expand their horizons and think outside of our community. They’re able to see other people and places that need our help and how we can do something which I love. Together we can review all the projects that Members Unite has and talk through them and decide which one we want to champion. They can also show us how we can help more at home as well by planting trees in our yard, donating to a local baby pantry, or even by creating our very own smile cards and handing them out to someone who makes our day a little brighter! Take a few minutes and check out the Members Unite site and sign up! You’ll love it…. I promise. There are many people in our lives who have helped us out one time or another and many of them help again and again. Do you have that kind of person in your life and who is that special person to you? Is it your mom, sister, grandma, aunt, close friend, or teacher? To me that special person is my sister. As children we played together and caused trouble together… oh and tormented our younger brother together. Then we got older and she started to annoy me….a lot. Circumstances changed as they often do in life and I moved into with our dad and she came along too but it wasn’t long before she moved back into our mom’s house. We spent the majority of our middle and high school years apart, time that we could have reconnected and created long lasting bond between sisters that just can’t be broken. It’s something that I regret not doing and feel like I’ve missed out on something important. Fast-forward many years. My sister and I have a great relationship now we talk every single day whether it’s on the phone, text messaging, or IMing online. She really is my best friend. My sister has been here for me through some difficult times… my divorce, two miscarriages, and of course all the antics of raising a little boy (I have 3 girls and a 15 month old son where as she has 2 boys 3 & 5yrs old). To some it may not seem like much…she’s your sister… it’s what sisters do. But to me it’s everything and more because of where we came from, where we started, the way our lives have changed, and how we have grown and come together as sisters should. Without her I would have an emptiness that could never be filled. She’s my friend, my confidant, and most of all she’s my sister. For that special person in your life or for a wonderful Mother’s Day gift I have a special offer for you. 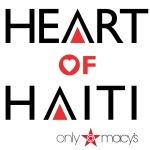 You can find a great Mother’s Day gift from the HOH collection at Macy’s and use the promocode: CLEVERGIRLS to get a discount of 15% off Heart of Haiti and Rwanda Path to Peace products between 5/3 – 5/8.